Well, you do a report based on the latest plan and then, within hours you find that we have moved on to the next one! Today, the J27 has been to Pickering on the teak set with 80136 on the back. The day started as expected, and Ian Pearson and Jon Bradley had a couple of light engine trips up towards Goathland with Neil Smedley and Les Harper - Steve Johnson also joined them for the first of those. The teak set then arrived at Grosmont with 80136 at 1205, the J27 backed on, and took the 1230 departure out to Pickering (see photos). 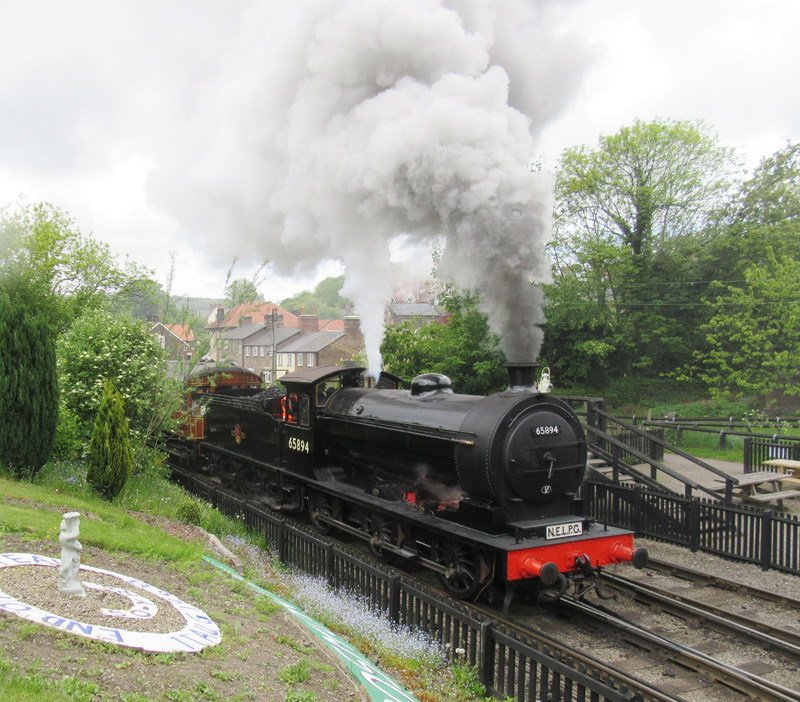 It then came back on the rear of the train to Grosmont and up to the shed for disposal. It is now sitting on the wheeldrop road at the back of Deviation Shed. It will not be operating tomorrow, as an opportunity is required to sort out all the little jobs that have emerged form the last few days running. It is not clear at the moment whether it will be operating on Saturday, but it is booked to be working on Sunday with Terry Newman in charge. Then, subject to the usual caveats, it is still planned to have it in service on Monday, and subsequently, on the reduced formation teak set. 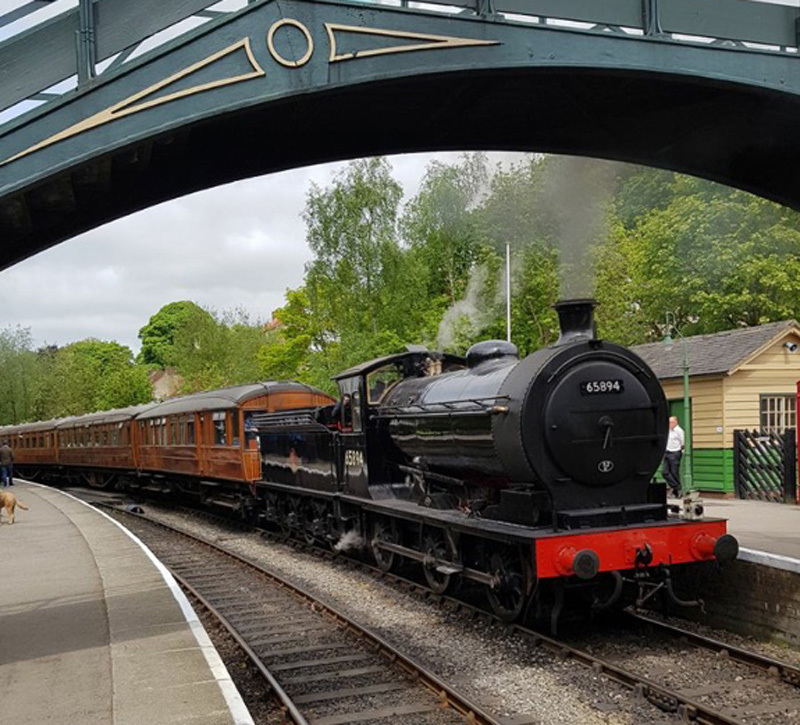 At that point, if it is then in service, these reports will cease, as its availability should appear on the NYMR website showing the locomotives in service each day. I will though report on any significant developments as and when they might occur.